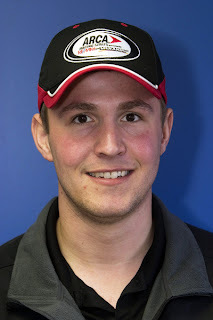 Announced on Wednesday, JR Motorsports has named Canadian stock car standout Steve Arpin as driver of the team's #7 Chevrolet for this weekend's NASCAR Nationwide Series Aaron's 312 at Talladega Superspeedway. A real capital opportunity for the Fort Francis,Ontario native, Steve Arpin has been catching eyes driving the Venturini Motorsport #55 Toyota in the ARCA Racing Series. Currently leading that series' points standings after four races, Arpin is riding a hot streak of two straight victories claiming. Steve Arpin claimed his first ARCA stock car win at the high-banked short track at Salem Speedway before following it up with a 1st place at the 1.5 mile Texas Motor Speedway. Driving a Toyota wearing Mike's Hard Lemonade sponsorship, Arpin will also be attempting to drive for 3 straight victories for Friday's ARCA Racing Series event at Talladega. “It's been a busy week leading up to this race at Talladega. I’ve been trying to keep my mind focused and centered on what I do best, which is driving a racecar. The biggest thing is how thankful I am to Dale Jr., Kelley, and the Eurys for putting this opportunity in front of me. It’s really cool they would be willing to take a chance on me, and I hope we can get some solid results out of it.” Arpin reacts as he prepares for his debut with the JR Motorsports team. For the Aaron's 312 race, Steve Arpin is humble on his expectations for the upcoming race. "Anytime you go into a race weekend, you want to do well. But I also want to be realistic for myself and for his No.7 Chevy team. For it to be a good weekend, we have to finish all of the laps." Arpin said without discounting a chance to claim a top-15 place as a quality effort. Jamie McMurray, Aprin's teammate driving the #88 JR Motorsports Chevrolet, looks forwards to the young Canadian's entry into the team saying "I'm excited for Steve (Arpin). I'm looking forward to working with him as JRM teammates this weekend". Naming Arpin to the #7 ride for this weekend, JR Motorsports is fighting through the 2010 NASCAR Nationwide Series to balance developing young prospects with sponsor-pleasing performance on track. Kelly Bires was released from the team two weeks ago quite unexpectedly after just 5 NASCAR Nationwide Series races in the #88 Chevrolet. Steve Arpin's addition to the JR Motorsports roster for Talladega has possibly shown that their is still some interest in development drivers. Since 2007, the red maple leaf flag has flown with the names of many drivers at Talladega. In the last couple NASCAR racing season's, Jacques Villeneuve, JR Fitzpatrick, Patrick Carpentier, and Mario Gosselin have been Canadian drivers who have taken a spin around the high-speed, high-banked Alabama oval in one of NASCAR's top-three divisions. Depending on the possible performance at Talladega, Steve Arpin could also be auditioning for an additional ride in the #7 Chevrolet for the NASCAR Nationwide race at Richmond International Raceway next week.